What We Do | American Transmission Co. | American Transmission Co.
American Transmission Co. was founded in 2001, as the first multi-state, transmission-only utility in the United States. Unlike most other utilities, we have a single focus: transmission. Our transmission system allows energy producers to transport electric power from where it’s generated to where it’s needed. 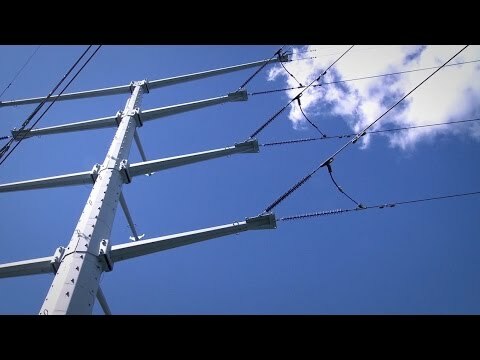 It’s similar to the interstate highway system with high-voltage electricity traveling on the transmission system wires like vehicles on the highway. ATC provides electric transmission service in an area from the Upper Peninsula of Michigan, throughout the eastern half of Wisconsin and into portions of Illinois. Our more than 9,600 miles of high-voltage transmission lines and more than 550 substations provide communities with access to local and regional energy sources. We operate our system as a single entity, providing comparable service to all of our customers. Our customers include electricity producers and electric distribution companies who count on ATC to move power from where it’s produced to where it’s needed in the homes and businesses they serve.